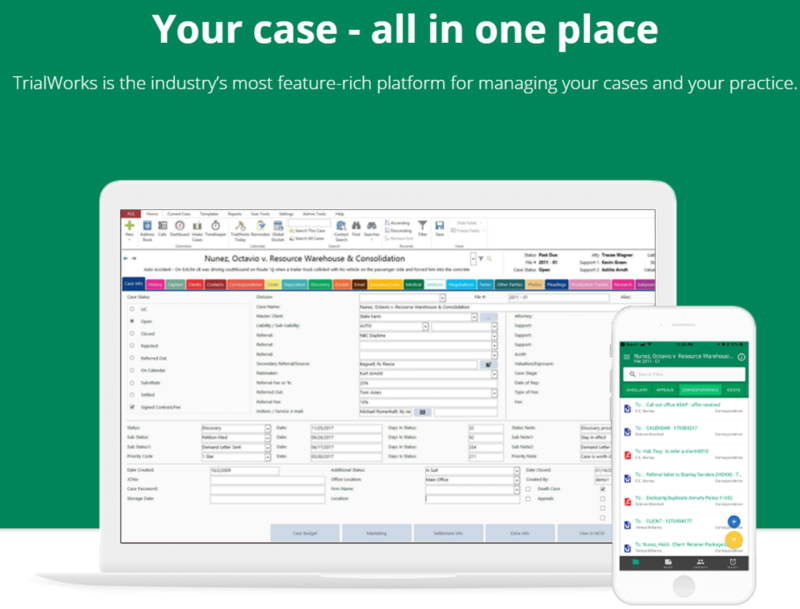 Combine the power of TrialWorks practice management software with LawToolBox’s court rule and deadline management system and ensure you never miss another deadline. The integration between TrialWorks and LawToolBox allows you to seamlessly add deadlines into your matters in Trialworks. Simply select the matter, choose your jurisdiction, select a trigger date and then you will be presented with a list of deadlines related to that trigger date. You can choose to add all deadlines or only select deadlines that are appropriate for the matter. Interested in seeing LawToolBox & TrialWorks in action? Fill out the form below and we'll set up a demo! Are you a current TrialWorks client?